These colorful pins look to date to the simpler times of the 1950s or 1960s, when people could be wowed by something they had never seen before. Now, with the advent of social media, the internet, and countless TV stations covering almost every possible event on the planet, much of what was a WOW then, is nothing special now. 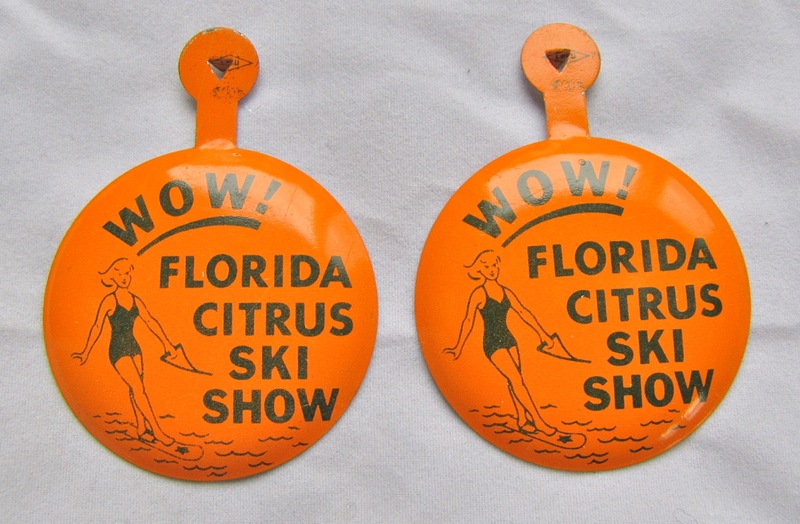 Back then, I am sure the attendees of the Florida Citrus Ski Show supplied the requisite number of oohs and aahs in response to the watery performances. Here’s a period look at some Not Ready for Prime Time Players of the water ski world, complete with the schmaltzy music that screams out 1960s’ video.